...is brought to you by the SIL. While preparing dinner, she discovered a little green bell pepper inside the red one. 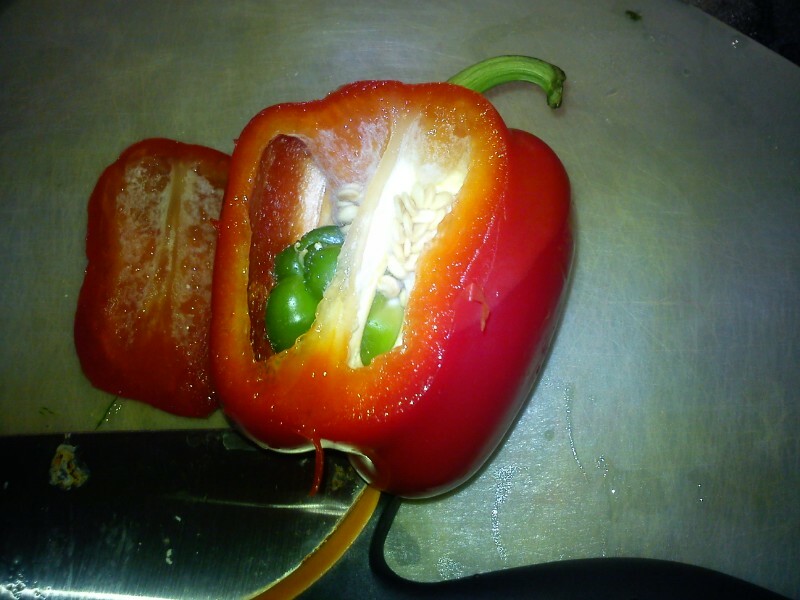 Who knew bell peppers could get pregnant?! Or is this the bell pepper equivalent of Russian nesting dolls?